As I was preparing to write this piece, I thought to myself, “where do I start?” Super Smash Bros Ultimate is such a huge game, both considered as a stand-alone game and as the climax of an unlikely 20-year franchise. The original Smash Bros game on the Nintendo 64 was a hit, but it was nothing I ever expected a sequel for. It was the first game where Mario met Kirby and Pikachu, alongside other Nintendo characters and, possibly playing against type, they beat each other up. It was modest cartoony fun, and unlike any other fighting game that came before it. Now, after sequels on the Gamecube, Wii, and 3DS, the series has grown to have nearly every Nintendo character worth noting, plus several you’ve likely never heard of, plus characters from non-Nintendo games, like Snake from Metal Gear, Simon from Castlevania, Sonic the Hedgehog, and even Ryu and Ken, crossing over from the more traditional fighting game Street Fighter. The game currently has 77 characters, with at least 5 more promised to be released for download later - including the Piranha Plant from the Mario series. 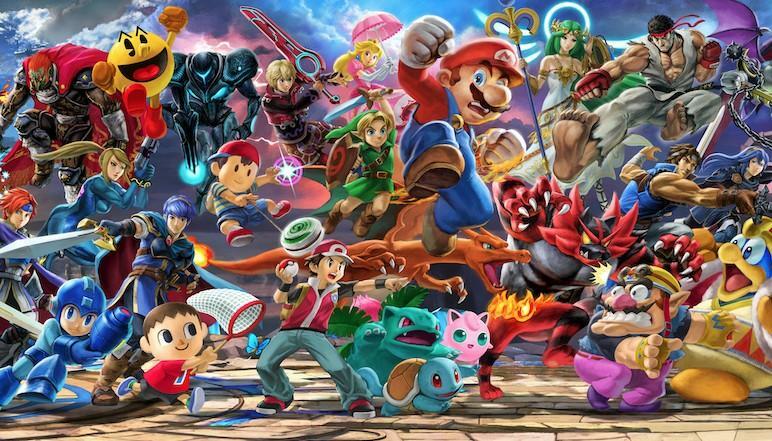 Every character that has ever appeared in a Smash Bros game is present in Ultimate, along with nearly every stage. Despite the casual pick-up-and-play nature of the game, the Smash Bros series are the most played Nintendo games at a competitive level. Smash is played at EVO, the largest fighting game competition in the world, as well as at smaller events year-round. The games were not initially designed for the competative scene, but Nintendo has since embraced its status, sponsoring Smash Bros championship series tournaments. I’m certainly not nearly good enough to participate in these sorts of tournaments, but holding a smaller-scale tournament with my friends and family over for the holidays is much more my speed, and can be a lot of fun. After all, we’ve all been growing up with Smash Bros.